For the village in Neamţ County, see Dumbrava Roşie. 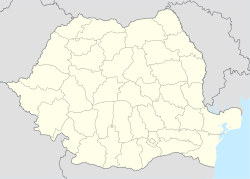 Cut (German: Kokt, Quellendorf; Hungarian: Kútfalva) is a commune located in Alba County, Romania. It has a population of 1,560. It is composed of a single village, Cut.